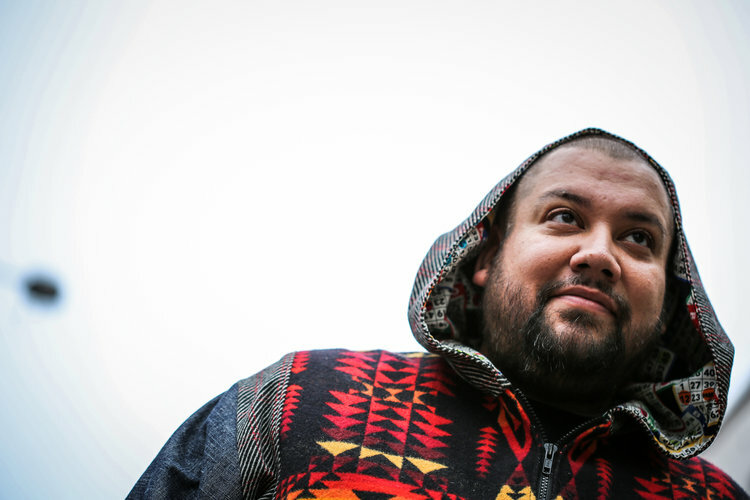 DJ Shub, formerly of A Tribe Called Red (but not a founding member), is a title earning DJ, award winning music producer, and devoted family man from Six Nations of the Grand River. His PowWowStep EP picked up an Indigenous Music Award for Best Instrumental Album in May of 2017; the Canadian Organization of Campus Activities (COCA) named him DJ of the Year in June of 2017; and, his music video for “Indomitable ft. Northern Cree Singers” picked up a 2017 Native American Music Award for Best Music Video along with a nomination for Best EDM/Dance Video at the 2017 Much Music Video Awards. As local audiences who heard him at the 2017 Hillside Festival will surely attest, DJ Shub will certainly bring the ruckus to close out the Market Square programming this year.